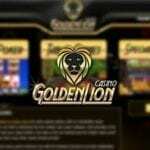 IVI Casino No Deposit Bonus - Get 20 Free Spins NOW! Lots of regular casino players are familiar with the fact that there is always a dominant casino game in every casino. Almost all casinos dominant game is slot; we know you might be thinking the IviCasino is entirely different, yes, they are different but not in the way you are thinking. The dominant game at the IviCasino is still slot but compared to a lot of casinos they offer a better and higher number of table and scratch games. There are over 2000 casino games available to players from a lot of software providers. Players can cash out up to €1500 on a daily basis with a minimum deposit of €10 and a minimum withdrawal of €20. The available currencies at the casino are BTC EUR RUB and SEK. Players from the UK, US and Moldova are restricted from playing in the casino. With the features listed above, a lot of players wouldn’t want to miss out on the gaming experience provided by the IviCasino, but keep in mind that as enticing as all the above features seem, that’s not all there is to the gaming experience provided by the casino. Read along to get a better insight on all the features the IviCasino offers to players. Play at IVI Casino Now ! A 100% welcome bonus of up to €300 is offered to new players. For a casino of this calibre, a lot of players wouldn’t hold the bonus with high regards because they would have expected more. At first, when we saw the bonus we were also of the same thought but after going through all the promotions that regular players get to enjoy, then we knew why the welcome bonus wouldn’t matter that much. Regular players enjoy numerous promotions on a weekly basis. Some of the available promotion include Friday reward were players get to enjoy a 15% cashback of the funds they had lost in the casino within the week, Jolly weekend, players get to enjoy a 40% bonus on every deposit etc. 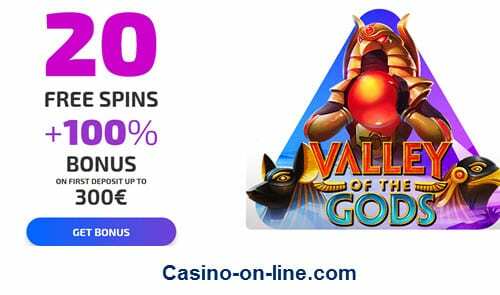 there are still a lot of bonus available for players to enjoy, to get full details on the promotions available, you can visit the promotion portal available at the casino. For players who love the feel of a colourful casino, you won’t be disappointed. As soon as you click on the sites URL, you would get a feel of luxury, even without winning, you would get to feel like a jackpot holder. With over 2000 casino games, a lot of players would be scared of getting a bulky and hard to navigate the site but the IviCasino shows that they have their players best interest at heart by providing an easy to navigate platform. The games are organised based on the software providers. 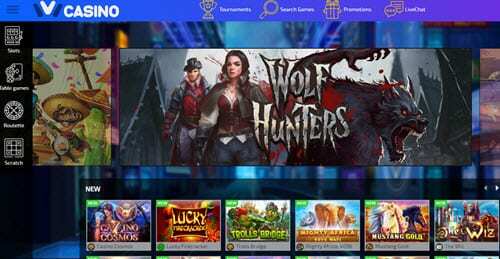 For instance, if you want to access Mega Moolah Microgaming casino games form the site, all you need to do is to go to Microgaming section and search for Mega Moolah with the search engine provided. The only issue we had with the site was the lack of a demo version for players who are not registered with the casino. To access any of the casino games, whether demo free play or for real money, you would have to register fully with the site. Naming all the games provided by the IviCasino is almost impossible but some of the software providers powering most of the casinos’ games are Microgaming, Netent, Quickspin, Thunderkick, Big time gaming etc. A large collection of over 1000 slot games is available for players, you can rest assured that they would certainly offer your favourite slot game at the IviCasino. As we stated earlier that the number of slot games might be more than any other available casino games but you shouldn’t underrate the substantial number of table and Scratch games provided. Players can enjoy a good collection of baccarat, roulette, poker, scratch and live games at the IviCasino. 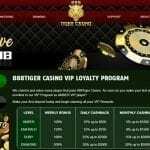 Guaranteeing a 100% fair play from the wide range of casino games available in the casino would be almost impossible but with the top tires software providers powering the casino, it is evident that most of the games would be operated via a random number generator making issues of rigging hard but not impossible. IviCasino is owned by JocSolutions Limited and operates with a licence from the Curacao gaming authorities. The casino uses a secured SSL encryption to secure its database against cyber-attacks giving players the assurance that their data is safe in their hands. The JocSolutions Limited has different companies located in E-Commerce Park, Vredenberg, Curacao, and Netherlands Antilles guaranteeing the casinos safety for operations carried out under a jurisdiction that the Curacao authorities are not liable to operate. There is a huge variety of transaction options available for players to choose from. Some of the most used transaction options are MasterCard, Paysafecard, Neteller, Skrill, Visa, Safetypay etc. players should be mindful of the transaction option they chose while processing their transactions because most of the options available have different deposit and withdrawal time frame attached. A live chat portal is available for players 24/7. There is no toll-free call service available so you would have to make do with the live chat if you want an instant reply. An email address is also available for players to drop their complaint. The email service might take up to 24 hours before giving feedback. You can also access the FAQ section provided to players by the casino for instant access to questions and answers of most other players, your issue might have been resolved by customer service in the FAQ section. Accessing the IviCasino’s site can be done via a mobile, tablet or Pc running any software. You do not need to download any app to access the site via a mobile or tablet but if you want to gain access to the site via a Pc, you might have to enable your flash player depending on the game you want to play. With over 2000 games available to players in the IviCasino, it’s impossible to get bored while playing at the casino. Thumbs up to JocSolutions Limited for creating such an exciting casino.